It’s no secret that the fashion industry generates a lot of waste, and not just on the cutting-room floor. From customer returns to overstock, the world’s apparel brands and retailers amass millions of garments every year. But not everything that’s relegated to the “toss” pile is damaged beyond recognition. Many of the items deemed unsellable possess only minor flaws: a broken zipper, perhaps, or a small rip in the fabric. Since most companies lack the infrastructure to repair these defects, anything that’s less-than-perfect is either donated overseas or condemned to the landfill. But Nicole Bassett and Jeff Denby, a pair of apparel-industry vets, knew there had to be a better way. To mitigate some of the 26 billion tons of textiles that Americans throw out annually, the duo founded The Renewal Workshop, a social enterprise that will sort, clean, and repair blemished merchandise to give it new life. Bassett and Denby have already found its founding partners, among them Prana, Ibex, Mountain Khakis, Toad & Co., and Indigenous. After the brands offload their clothing rejects, the Renewal Workshop cleans them at its Oregon-based facility using Tersus Solutions’s waterless processing platform. 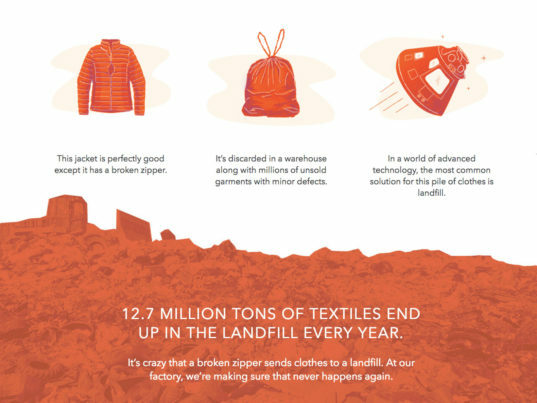 “Our partners are the first in the industry to become closed-loop brands leading the circular economy,” Bassett said. 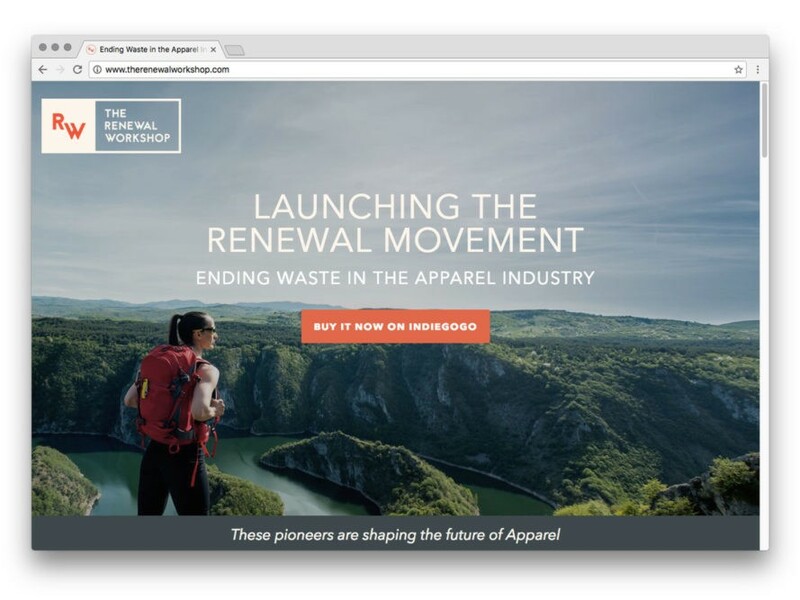 Any damage, like missing buttons, is dealt with, and the resulting “Renewed Apparel” is either sent back to the original brand for resale or gets sold directly to the consumer via the Renewal Workshop’s online storefront, which will debut this fall. Products that cannot be renewed are responsibly upcycled, downcycled, or donated. Nothing gets sent to the landfill, Bassett and Denby said. RELATED | When Did Repair Become a Radical Act? Looks like refreshing is the new recycling. It's no secret that the fashion industry generates a lot of waste, and not just on the cutting-room floor. From customer returns to overstock, the world's apparel brands and retailers amass millions of garments every year. But not everything that's relegated to the "toss" pile is damaged beyond recognition. Many of the items deemed unsellable possess only minor flaws: a broken zipper, perhaps, or a small rip in the fabric. Since most companies lack the infrastructure to repair these defects, anything that's less-than-perfect is either donated overseas or condemned to the landfill. But Nicole Bassett and Jeff Denby, a pair of apparel-industry vets, knew there had to be a better way. To mitigate some of the 26 billion tons of textiles that Americans throw out annually, the duo founded The Renewal Workshop, a social enterprise that will sort, clean, and repair blemished merchandise to give it new life.